Let me start off by saying, that I didn’t want this blog to turn into one big informercial for products I’m selling over at TpT. However, for this standard, I really could NOT find any suitable materials to teach this new standard in third grade. Most teachers quickly think that point of view means identify first or third person speaker. Not the case! Now, the standard has the students identify the points of view of different characters or the author AND identify their OWN point of view. With that in mind I developed a PowerPoint that essentially does that. Using well known fairy tales, I had 2 characters from each fairy tale explain their points of view. Then I had the students identify their own point of view. Attitude is the way you feel or think about something or someone. It affects the way you behave and the way others see you. Sometimes these can be seen as character traits. Beliefs are the things that you believe to be true or good or right. They can be ideas, a person or a behavior. Beliefs can change. You can add new ones or discard old ones. Experiences are the things you see and do in your life. It is also the things that happen to you in your life. Narrow your focus to the topic when selecting experiences. Values are the people, things or behaviors you hold important in your life. These are the things you will fight for! Values can change. You can add new ones or discard old ones. Pretty heavy stuff for a third grader! But by using well known fairy tales, I was able to jump start the process. The students knew the characters well enough that they were able to wrap their heads around the concept of point of view. We practiced with the Powerpoint daily. I also was finishing up the Folktales unit so I was also able to incorporate The Legend of the Indian Paintbrush, The Legend of the Bluebonnet, Coyote, Raven and Arrow to the Sun. We examined those characters’ points of view. We also practiced writing about point of view by using comparison key words such as, both, but, and however. It is very hard to say how this standard will be tested on the upcoming Smarter Balanced Assessment. 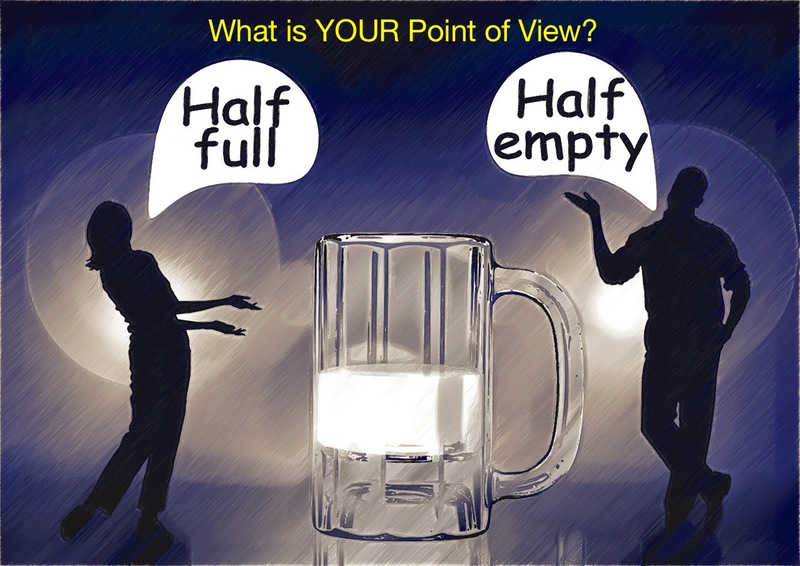 But I believe that I have given my students a good understanding of point of view and how to explain it. Below is an animated GIF (just hit play) of part of the Powerpoint I developed. It shows the process I took the students through with one of the fairy tales.